Hasbro announced it will be entering the “Digital Plush Arena” with Virtual Interactive Pets (VIP)Â in a 24 Sept 2007 press release. Their already successful “Littlest Pet Shop” line will be launching five pets bound for the virtual world: a dog, cat, turtle, penguin, and a panda. The “VIP” will be launched in mid October 2007 in the New York Metro and online markets, followed by a global launch in 2008. The global launch will include a total of 18 VIP. One nice feature is an adoption desk. You can sign up at littlestpetshop.com, borrow a pet for a limited time and check out the virtual world before actually purchasing a pet to gain continuous access to the world. VIP owners can play 16 mini-games or get involved in ten different activities in the virtual world. Games include hang gliding, snowboarding, and skate boarding. Hasbro’s new VIP games, MyePets.com from MGA, Webkinz, and others chasing Webkinz use an unusual approach. They provide you with a free online virtual community experience, but make you buy a plush pet as a token to enter. Its like you go to the store to buy the plush pet, get the secret codes to sign up online off of it, then just throw it in the corner and forget about it. Seems like a waste. But, they can’t get zillions of people to pay for access to the virtual community, so they use this as a monetizing method. Hard to knock it when they are being this successful. Nonetheless, seems like if someone took a similar approach BUT also created and promoted some more ways to interact and have fun with the “real” plush pet, they could separate themselves from the pack. No mention in the Littlest Pet Shop press release if their online pet vanishes in a year likeÂ Webkinz does unless you buy another one. scuse me but id like to say there should be no codes or stuff for things like that.what happens if a kid owns a computer but cant offord a toy with some code to go on a website there friends like to go on? hats just wrong please create a better website where kids can care and love there virtual pet without some code!it would be great and then it could be awesome and chidrenn and adults wil love it ! u could get thousands of dollars maybe millions . littlest pet shops are totally cool i have some cool ones i can not stop buying them but dad said no more buying them. i want every single thing of littest pet shop but i only have a couple of stuff .i have 14 littest pet shops pet bakery 2 pet nooks and some other stuff but i still have the biggest littlest pet shop……i love you guys …….kiss kiss . hi everyone im kyle and I love webkinz i have 24 and about 16 charms and i have two accounts and ill let you add me kyleangel and the other one is Cheerleading708 and My first webkinz was the panda of course and I named her Oreo I’m 11 since my other user name for webkinz is Cheerleading708 i am a cheerleading and this fall I’m doing volleyball. I have an aim and if you kids have one or want one you go to aim.com and install it and then PLEASE add me kyleangel23. I’m 11. i have a myspace,facebook yea bye and i listen to rap. As you can imagine the Webkinz products are not an exclusive right of the Webkinz online business. In fact to make Webkinz more available they have agreed with various local shops around the United States and Canada to have physical stores. You will find these local Webkinz stores are going to offer the plush as well as the various accessories. Not only are their physical store locations around you, and the online store, but there is also the other online stores selling Webkinz. First we are going to look at the online Webkinz stores. Webkinz has a main internet site that offers you their online store. In this online store you will find the Webkinz collection, accessories, and the Lil’ Kinz Webkinz. The online store allows you to purchase the items directly from them and get the items shipped to your home address. It is easy to find when you are looking for anything Webkinz. The Webkinz stores that are offered around your locale are going to vary. You will want to use the online store locator to find out, which outlets sell the Webkinz products. Most often you will find that the Webkinz stores are Hallmark, J.C. Penny, Limited Too, Mostly Memories, Sweet Factory, and many other children stores. The idea behind these Webkinz stores is to save you a little in shipping and offer a present when you need one. Sometime you will find the Webkinz stores will be sold out, so you may want to call first to determine when the newest Webkinz will arrive. If the local store doesn’t have what you want there is of course the Webkinz online store. 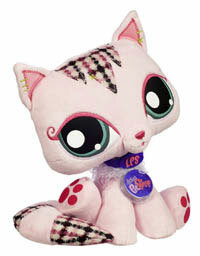 You also have the various Webkinz selling internet stores that have used or retired products. Places like eBay, Amazon, and just personal websites offer Webkinz for sale as well. In this case it is usually because the owner of the Webkinz has out grown the idea of the products and is looking to off load them. This means you can find retired animals that you need for your collection, as well as great deals on your favorite Webkinz products. Every Webkinz store online or in your local area is also going to sell the accessories. The clothing, charm bracelets, and trading cards are also available. This can be a great treat for someone who is very into Webkinz. Keep in mind that you can do a store locator search for Webkinz stores nearest you if online doesn’t have what you want. OMG This is the best Contest EVER!! I am going to do this, Then peform the rap to my Friends and see what they think.Oh, I ralley want to work for Ganz when I grow up. You guys are SOOOO COOL!